SEATTLE (AP) -- In a story Sept. 11 about a proposed fee on carbon pollution, The Associated Press reported erroneously that Shell pledged money to the initiative. Shell pledged money to oppose the initiative. 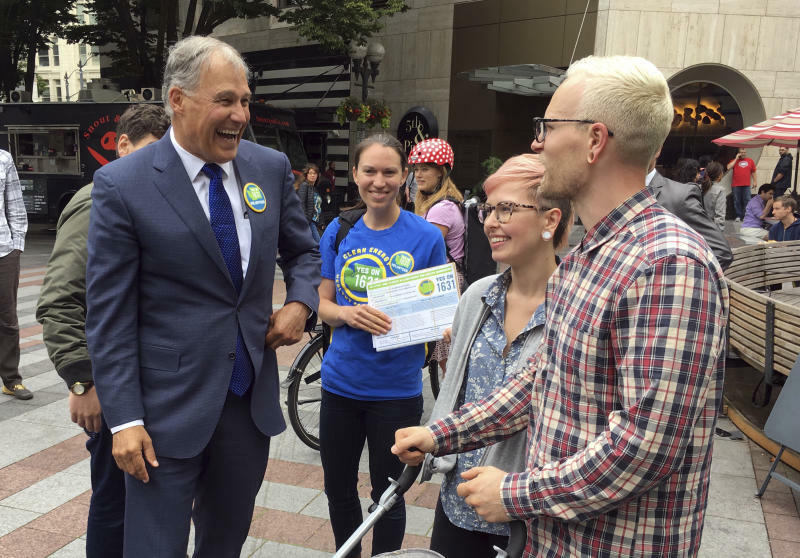 SEATTLE (AP) -- Voters in Washington state will be asked this fall to do what state and federal leaders have been reluctant to: charge a direct fee on carbon pollution to fight climate change.